Do you dream of sprawling ocean views, enchanting nature walks, or coastal landscapes from the water’s perspective? Then you’ll feel right at home in Carolina Beach. 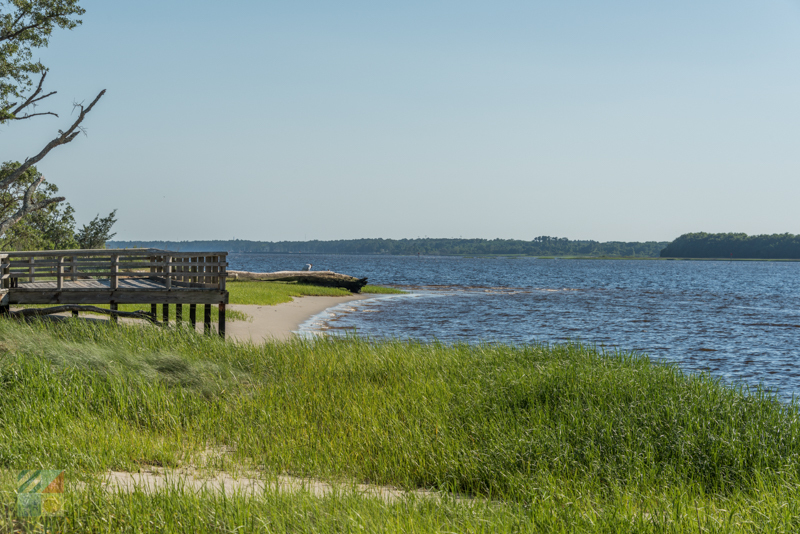 This small coastal community that’s located just a few miles away from busy Wilmington is renowned for its natural setting, and virtually all distinctive coastal environments – from busy beach boardwalks to uninhabited maritime forest – can be found here. So be sure and pack along the camera, and make a point to take a trip to these local destinations where the views are out of this world. From iconic local landmarks to stunning parks, a fantastic visa is never too hard to find in Carolina Beach. 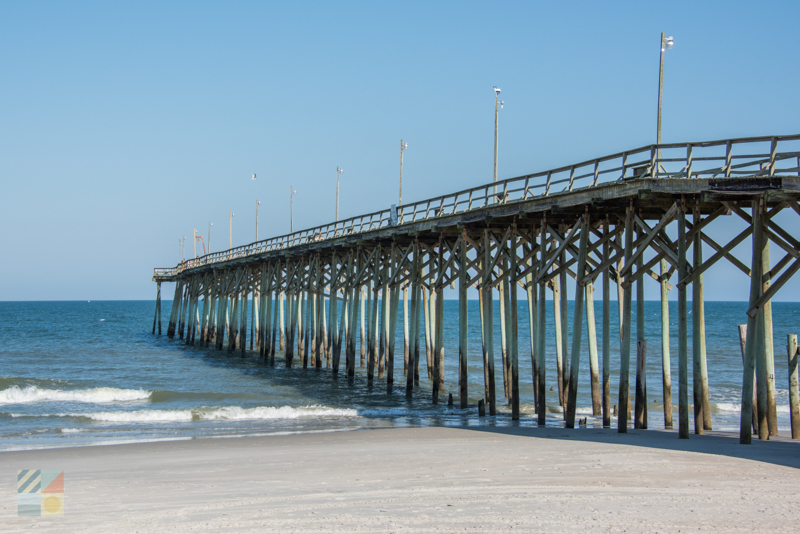 Located in the heart of Carolina Beach, the Carolina Beach Fishing Pier offers miles of views that extend from the city center all the way to Freeman Park. The pier extends 700’ ft. into the Atlantic Ocean, and features ample benches / tables for visitors to relax after a stroll to enjoy the view. With extra amenities on-site which includes a tackle shop and a small on-site restaurant, a trip to the pier can turn into a full afternoon or evening outing for fishermen as well as their families. Expanding for 761 acres, the Carolina Beach State Park is a scenic destination throughout with miles of nature trails, a beautiful riverfront area complete with ample kayak and boat launching points, and stunning and secluded campsites. Day-trippers in the mood for a wild scene will want to take a stroll along the hiking trails, which cut through maritime forest, shrub thickets, salt marshes, and scenic waterfront via well-tended paths and even boardwalks over those soggier areas. Along the way, walkers and hikers will enjoy amazing birdwatching and wildlife viewing opportunities, as well as a chance to spot rare species such as the park’s famed collection of carnivorous plants, including Venus Flytraps. Naturally beautiful, Carolina Beach State Park is a great destination for nature fans who want to discover all the unique landscapes that Carolina Beach has to offer. Located just north of the center of Carolina Beach, Freeman Park allows visitors to enjoy miles of gorgeous beaches without ever getting out of their vehicle! 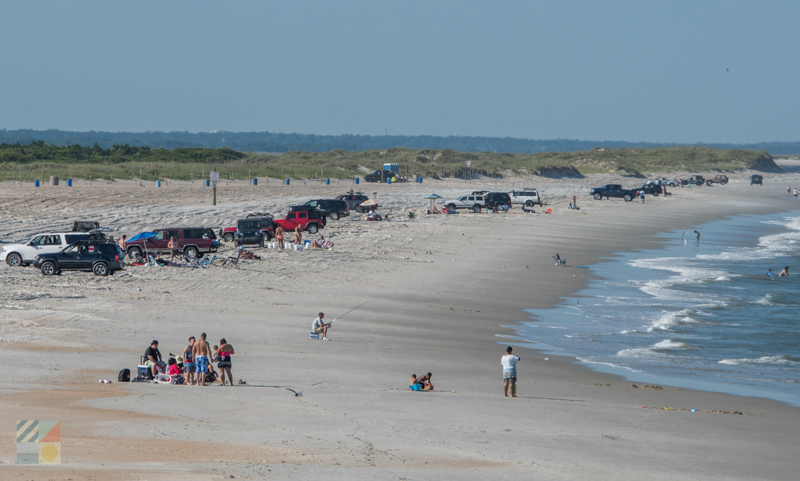 The park is one of the few 4WD friendly shorelines in southern North Carolina, and visitors can access the beach via a daily or annual beach driving permit. Once on the shore, visitors will be delighted to find miles of undeveloped shorelines, pretty beaches facing the ocean as well as the inlet at the northern edge of the park, and room to relax – particularly in the off-season months when the crowds have dwindled. Plan an overnight stay for rustic camping at its best with the ocean in the background. The small 11 acre Carolina Beach Lake Park is a unique landmark in town, as it is famous as one of the closest freshwater lakes to a major body of saltwater in the world. With a path that wraps around the lake’s borders as well as four shaded gazebos, visitors can pop by at any time to enjoy a stunning view across the pond. Seasonal pedal boat rentals and kayak rentals are also available at the lake, allowing visitors to take a tour of the water at their own, leisurely pace. In addition, the small park also serves as a venue for a number of outdoor events and festivals, which makes it a fun spot throughout the summer months. From lazy boat rides to easy-going strolls, there’s a lot to love about this small and almost hidden destination in the heart of Carolina Beach. Enjoy a classic beach scene that’s dotted with amusement park rides, games, and concession stands with a visit to the Carolina Beach Boardwalk. 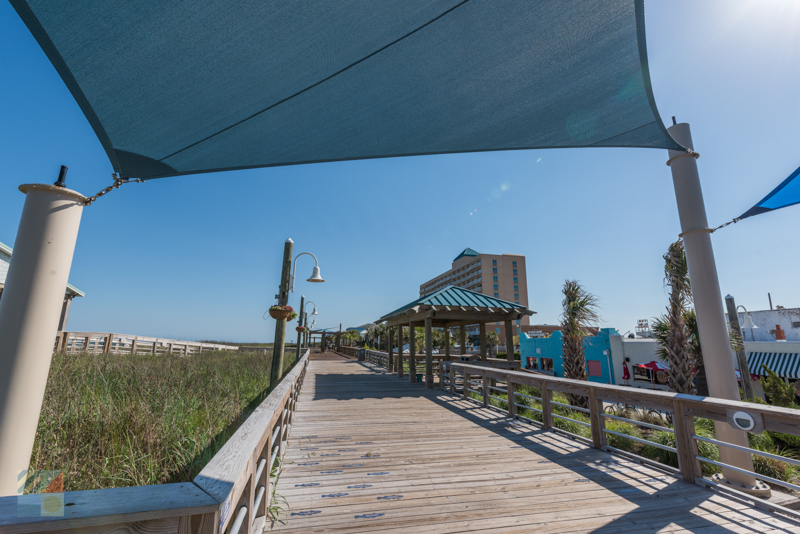 Noted as one of the best boardwalks in the country by a number of national publications, including Food & Wine Magazine and Budget Travel Magazine, the Carolina Beach Boardwalk has that classic beach ambiance that’s brimming with fun and games that the whole family will enjoy. For the best view in the house, head over to the Ferris wheel and enjoy spellbinding vistas that encompass a bird’s eye’s perspective of the ocean, the Cape Fear River, and everything in between. Connecting the Intracoastal Waterway with the Cape Fear River, Snow’s Cut is a popular passage for maritime traffic of all sizes and varieties. The relatively narrow channel of water features an extensive public boat launch site for visitors who want to head out on an on-the-water adventure, which has a host of features including roughly 100 parking spaces, five launching lanes, and a separate launching area for kayaks or stand-up paddle boards. The waterway is also bordered by a number of marinas, which are fun places for mariners and sightseers alike to watch the ships roll in. With lots of action and waterfront views throughout, Snow’s Cut is a fun destination for anyone who appreciated life by the water. Take a drive south past the borders of Carolina Beach and Kure Beach to enjoy six miles of beautifully uninterrupted and undisturbed natural shoreline. Fort Fisher State Recreation Area, which is the home of the barely visible remnants of the historic Civil War-era Fort Fisher, is a popular playground for beach-goers, complete with solid shelling, wide beaches, and miles of ocean views. Take a stroll north, where freshly washed up shells can be found hidden in the beach-bordering rock formations, or south where the crowds dwindle the further you go. A remote shoreline that’s easy to reach, Fort Fisher State Recreation Area is a great destination for vacationers with natural beach tastes. Located just north of Carolina Beach, Mansonboro Island is the largest undisturbed barrier island in the southern North Carolina region, and is a beautiful spot where the empty beaches and local wildlife always steal the scene. Only accessible by boat, (but reachable by a kayak, boat cruise, or tour), this island features a wide array of coastal habitats which includes tidal flats, salt marshes, shrub thickets, maritime forest, dredge spoil areas, grasslands, ocean beach, and sand dunes. As a result, visitors who can reach the beach will often find miles of room all to themselves, as well as some of the best shelling in the Cape Fear area (and especially around low tide.) Always enticing, Mansonboro Island is a beautiful beach escape that will appease all varieties of nature lovers. Head south past the Fort Fisher State Recreation Area, which can be hopping in the summer months, to connect with the Zeke’s Island Reserve – a coastal reserve that is actually home to a network of sandy and marshy islands, including Zeke’s Island, No Name Island, and North Island. Visitors can reach this isolated beach by taking a long walk south from Fort Fisher, or by launching a canoe or vessel across the water for a fun and adventurous exploration. Once on the island, (or rather islands), expect to see incredible coastal birdwatching, great shells, and a myriad of wildlife that calls this region home. Zeke’s Island Reserve is the most important shorebird habitat in southern North Carolina, and a number of unique species including white ibis, great blue heron, black-bellied plovers, and dowitchers have been recorded here. 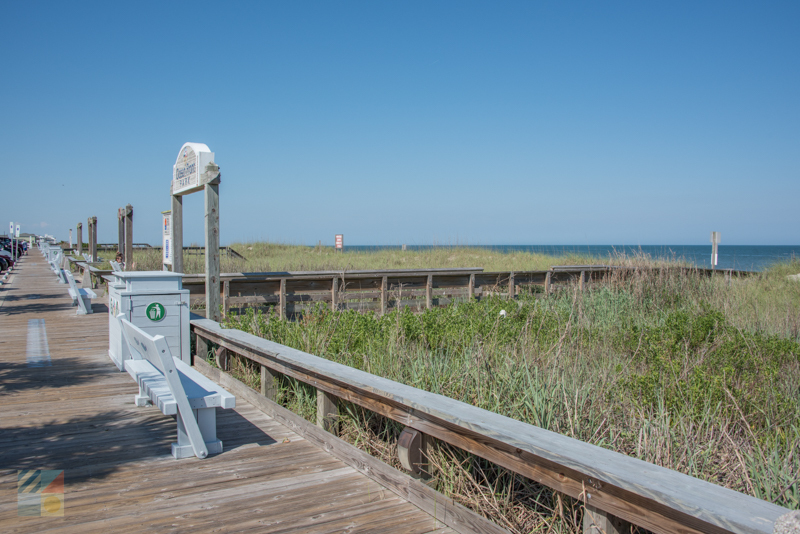 Located just south of Carolina Beach, the Kure Beach Fishing Pier is a striking sightseeing platform where visitors will enjoy miles of views from the Atlantic Ocean’s perspective. The pier extends 712’ ft. into the ocean waters, and the pier house features a wealth of amenities – including a tackle shop, a small grill and restaurant, and an arcade – to keep everyone in the family entertained. Benches throughout provide ample spots to linger and enjoy the view, and the exceptional fishing will entice any angler to stay longer, from the early morning hours until well past sunset. Located south of Carolina Beach and officially opened in 2013, Kure Beach Ocean Front Park and Pavilion is the small community of Kure Beach’s go-to for a grand range of entertainment and fun in the sun. The open air pavilion overlooks the Atlantic Ocean, providing ample views in the process, and the towering roof makes it easy to enjoy the natural setting, rain or shine. 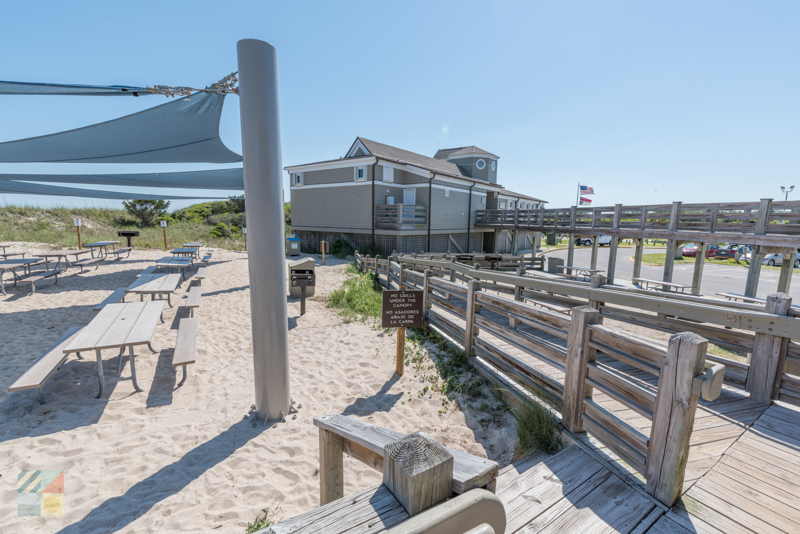 In the summertime, the Kure Beach Ocean Front Park and Pavilion is the home of a far-reaching range of festivals, markets, concerts, and outdoor events, making it a grand destination for a seaside perspective with a little live entertainment. Gorgeous and inviting all year long, the Ocean Front Park is the perfect destination to enjoy one of Pleasure Island’s favorite hot spots. Bring along sunscreen and bug spray, especially if you’re planning a trip to one of the local isolated shorelines or the Carolina Beach State Park, where the rare human visitor can be enticing for mosquitos. Want to expand your sightseeing opportunities? Book a tour! 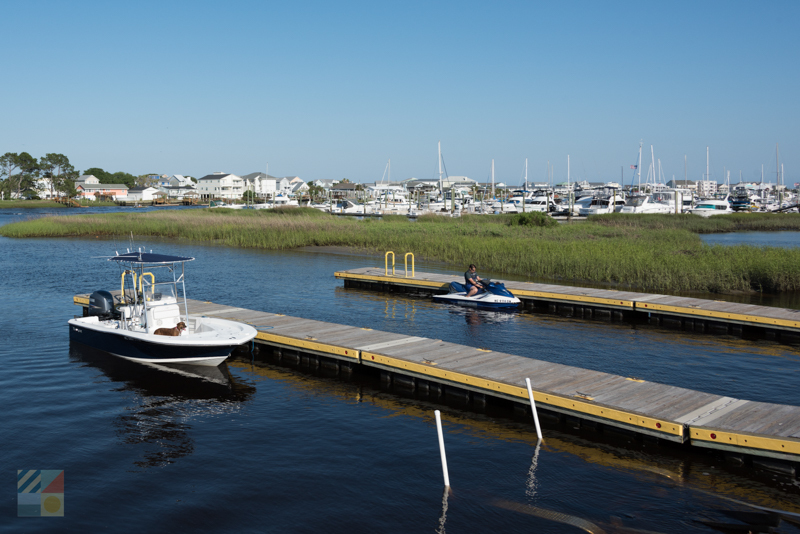 A wide array of tour boats and cruises are available in Carolina Beach – from quiet eco-tours to grand party boat excursions – which can serve as a great way to discover the local waters. Don’t forget that Carolina Beach is surrounded by iconic and historic towns, like Wrightsville Beach and Wilmington. Plan a day trip exploring local museums, gardens, and historic residences to full experience the beauty of the Cape Fear area. Adore isolated beaches? Then book an off-season getaway. The town is noticeably and refreshingly quiet in the fall, winter, and spring months, and accommodation rates are generally less expensive during these time periods than in the prime summer season. Want to enjoy ocean views all vacation long? Book an oceanfront vacation home. 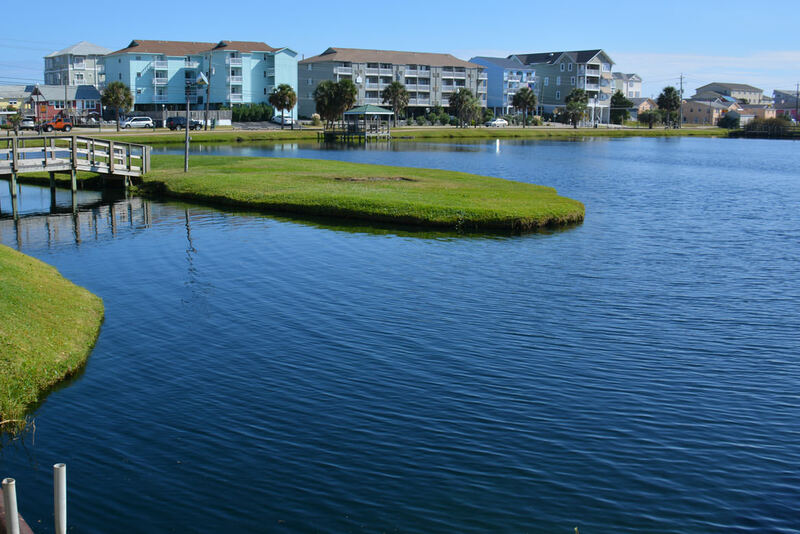 Carolina Beach is stocked with vacation homes that located a shell’s through away from the water, and which feature fabulous beach vistas and access. Carolina Beach is a treasure trove of sightseeing delights that can appease photo bugs and everyday visitors of all tastes. From classic boardwalk scenes to stunningly isolated islands, there’s a lot to love about the beach atmosphere in this popular Cape Fear vacation destination.